Thanks for doing the experiment, and sharing the data. It certainly highlights how inexpensive it can be to test the waters of a new marketing method, and back away if it’s not working. But if it didn’t work for pictures of weddings, I think pictures of barcodes are going to be a pretty hard sell. (Yes, I know there are websites full of barcode tattoos, barcode artworks, etc, but they’re really not my core market to be honest..). But I’ll bear it in mind for the future for some of my other avenues. People are there for fun only, they are not looking for a problem solution, so the only hope are impulse buyers and they are not your target audience. I think entertainment-related software will do much better on PInterest. You are approaching Pinterest in completely the wrong way. Pinterest is a *visual* medium, and in order to do well, you have to have a visual product. Software doesn’t lend itself naturally to this, although you could conceivably make it work by creating infographics that get shared by your target audience. Your “seating charts” pinboard is a good start, but there really isn’t a way to get back to your site. You need to be creating that kind of content on your site, centering the conversation around it there. Pinterest is nothing but a way to get people involved in the conversation. Create content that these people want. Focus on that, host it on your own site, and include a simple benefit statement somewhere in your sidebars or header. The traffic to your sales pages comes from that. I’m amazed you got as many hits as you did. Honestly, it took me a minute to figure out how to even get to your site from your profile. Pinterest doesn’t make it easy to get from a pin to your site. Unless perhaps you plaster your URL all over the comments, which seems a bit spammy. I agree with Lyndsy above. 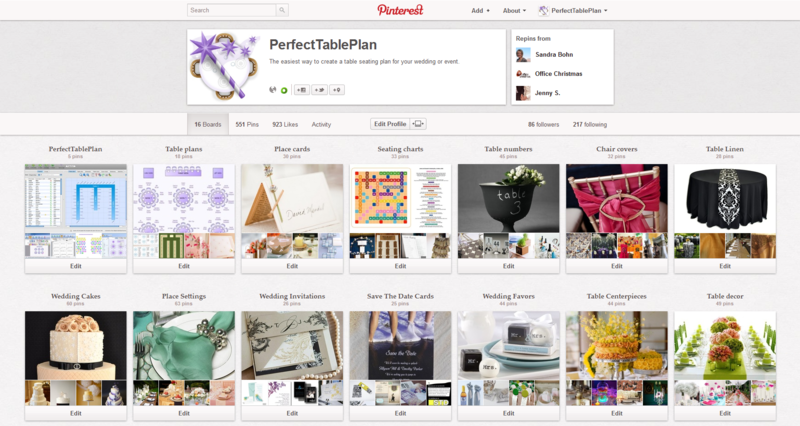 The way you’re using Pinterest, I am surprised you got any clickthroughs at all. Because you’re pinning pics from other sites, so the clicks go to those sites, not to your site. In other words, if people see your pins, and like them, there’s no benefit to you. Note that all pins are from our own websites, so clicks go to us and at least gives us some chance of converting them. It is my intention to add more PerfectTablePlan specific images. But, given the results so far, I don’t think I am going to spend a lot of effort on it.